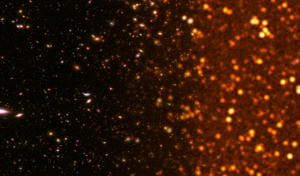 This workshop is a chance to discuss the nature and evolution of high redshift galaxies, from cosmic noon to re-ionization, as derived from a variety of observational evidence collected across the whole electromagnetic spectrum, and theoretical investigations. We aim in particular to trace the consistency between the star-formation and the mass assembly processes. The workshop will offer us a chance to discuss the latest results from Great Observatories (in orbit and on the ground), and to brainstorm on the exciting opportunities that new instruments like the now fully-fledged ALMA and the forthcoming JWST are opening in the nearby future. In the tradition of the previous meetings, organized under the auspices of ASTRODEEP, we aim at bringing together members of the main extragalactic surveys, like CANDELS, 3D-HST, HUDF, VUDS and GOODS-Herschel, to present their latest results and perspectives for the next future. Ample space and possibly a special session will be dedicated to present and discuss future programs involving new or forthcoming instrumentations and facilities – needless to say, JWST being the most obvious and compelling case. What physical mechanisms control the growth of galaxies behind their mass ? What have we learnt from ALMA on the efficiency of gas conversion in galaxies ? What can we expect from JWST, beyond extending galaxy counts and LF to deeper magnitudes? Star formation and accretion: coincidence or tight relationship ? Deep extragalactic surveys : a biased view of the early Universe ? Advanced methods for SED fitting. The workshop attendance will be limited to about 40 scientists. The format allows ample time for presentations (all oral, no poster is foreseen) and for interactive work among the participants. The workshop will be hosted by the Sexten Center for Astrophysics, located in Sexten (Italy).